Wouldn’t it be nice if battery manufacturers could tell which of their batteries will last at least two years and sell those to mobile phone makers, and which will last for ten years or more and sell those to electric vehicle manufacturers? Scientists at the Massachusetts Institute of Technology (MIT), Stanford University and the Toyota Research Institute (TRI) discovered that combining comprehensive experimental data and artificial intelligence revealed the key for accurately predicting the useful life of lithium ion batteries before their capacities started to wane. After the researchers trained their machine learning model with a few hundred million data points, the algorithm predicted how many more cycles each battery would last, based on voltage declines and a few other factors among the early cycles. The predictions were within 9% of the actual cycle life. Separately, the algorithm categorised batteries as either long or short life expectancy based on just the first five charge/discharge cycles. Here, the predictions were correct 95% of the time. 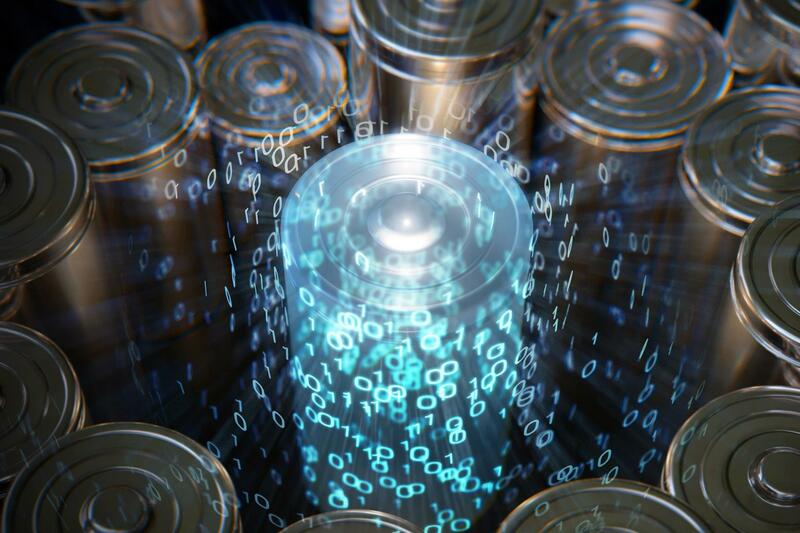 This machine learning method could accelerate the research and development of new battery designs, and reduce the time and cost of production, among other applications. One focus in the project was to find a better way to charge batteries in ten minutes, a feature that could accelerate the mass adoption of electric vehicles. To generate the training data set, the team charged and discharged the batteries until each one reached the end of its useful life, which they defined as capacity loss of 20%. En route to optimising fast charging, the researchers wanted to find out whether if it was necessary to run their batteries into the ground. Can the answer to a battery question be found in the information from just the early cycles? Generally, the capacity of a lithium ion battery is stable for a while. Then it takes a sharp turn downward. The plummet point varies widely, as most 21st century consumers know. In this project, the batteries lasted anywhere from 150 to 2300 cycles. That variance was partly the result of testing different methods of fast charging, but also due to the normal differences that emerge in commercially produced devices that depend on molecular interfaces. TRI has also been researching autonomy.